Generally, facial hair and for that matter even hair on the arms have a sparse growth but nevertheless they need to be tackled if one wants to sport a feminine hair-free look. Plucking, waxing or shaving is not quite suitable for facial hair. For those who have hairy arms and legs, waxing is just perfect. Waxing, as you know, guarantees smooth, hair-free arms and legs for a month or even more sometimes depending on your individual hair-growth pattern. Bleaching is ideal for facial hair. Being an effective and painless method, it merely lightens the color of the hair, making it less conspicuous. Facial hair and hair on the arms are barely visible after a bleaching session. Procure good quality cream bleach from the chemist. Do a patch test before hand to make sure that you are not allergic to the ingredients in the bleach. Apply the bleach onto a small portion of your skin, such as behind your ears. If you experience any burning or redness after application, then do not use that bleach. 1) Tie your hair and secure it in place using a hair-band. See to it that there are no fly-away stray hairs on the face. You wouldn't want to accidentally bleach your hair and end up with a small patch of blonde hair. 2)Your face also should not be greasy or oily before applying any bleach. Gently scrub your face with a dry cotton scrub. 3) Also get some ice cold water from the refrigerator. Take two cotton swabs, dip them in this ice cold water, squeeze off excess water and keep them ready. Also keep a few dry cotton swabs and a dry towel ready as well. 4) If you want to apply a pack after bleaching then these things too – mutani mitti (fuller’s earth) powder, sandal wood (chandan) powder and rose water (gulab jal) and another bowl. Follow the instructions meticulously and prepare your bleach in a glass or a plastic bowl and keep it ready right in front of you. Avoid using metal bowls. Take a small wooden spatula or use your fingers and carefully apply the bleach on your face leaving the eyebrows and avoiding quite a large area around the eyes. Apply a thick layer, a thin layer may not quite succeed in bleaching your skin well. And if you are not satisfied with the results of your bleach, you can’t reapply again. You simply will have to wait for one more month. Bleach can be harmful if it gets into your eyes and so exercise extra caution. Particularly, when you are dealing with the skin in the vicinity of your eyes, you have to be very careful as even the fumes can be very irritating. Never ever try to apply it to lighten the dark circles around your eyes. It is strictly not meant for under eye skin. Next, spread it on your neck. Now take cotton swabs which you had kept ready and place it on your closed eyes and wait for around 10-15 minutes or as per the time-duration mentioned on your bleach pack. Then take a dry cotton swab and slowly remove all of the bleach. Gently, very gently take a dry towel and wipe off the remaining residues. Then wash off with cold water. If you wish, you could also apply a mild face pack for around 5-10 minutes. 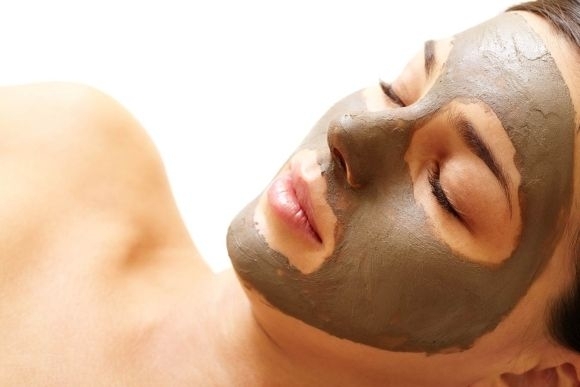 Take 1 tsp each of multani mitti (fuller’s earth), sandal wood powder and rosewater and make a paste. Keep this ready beforehand. Spread it over your face and wash it off with cool water after 5-10 minutes. You can apply a moisturizer or Vitamin-E oil after that. Do not apply any strong astringent, strong scented soap or use an abrasive scrub at least 8 hours after your bleaching. Try not to go outdoors immediately after bleaching so as to avoid the sun. In spite of all these precautions if your sensitive skin has given way to rashes, apply cold compresses of ice and milk all over your face. Read here. And do not bleach too often, leave a gap of at least one month between two sessions, 3 months would be ideal. Also read about these do's and don'ts that you should follow while applying bleach to your skin. And remember one more thing, if you are going in for a laser treatment to get rid of superfluous hair, don’t bleach your skin at all. Also if you are pregnant or lactating, do not apply any kind of bleach on your skin. 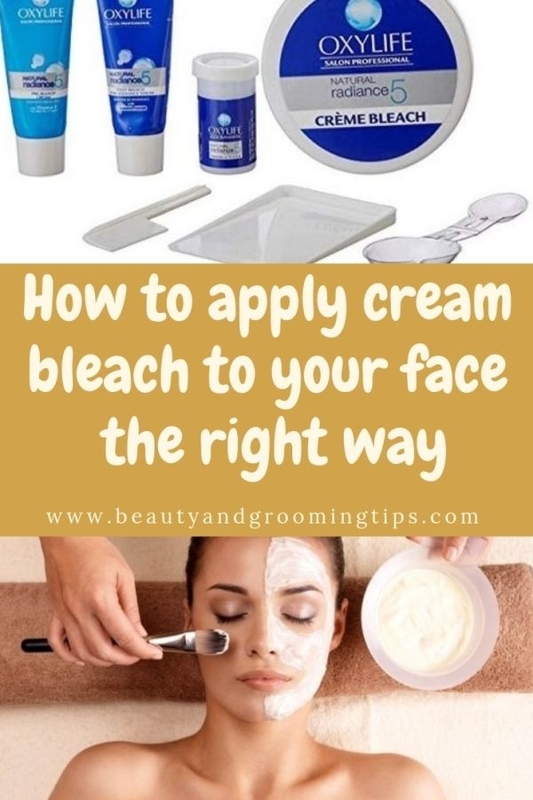 These are some easy instructions for you to follow when you are bleaching your facial skin. Follow it to the T and you won't experience any adverse reaction. So do you bleach your face every now and then? 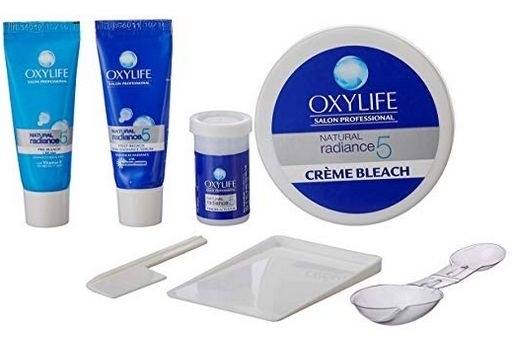 Do you follow these steps while bleaching? Do you have any other tips and precautions to add? Do mention in the comments. Hi Shona, glad to know that this post helped you. Keep dropping by. It is cream with chlorine compounds which is used usually when people want to look fair or don't want to go in for hair removal. Bleach lightens the skin by preventing pigments from releasing melanin, a chemical which gives skin its colour; and it also turns the hair white/cream colour so it blends with the skin tone.It's a cheaper alternative to hair removal but test a small portion out on a portion of your skin that isn't conspicuous - like the back of your calf - before applying it to more sensitive areas like the face, to make sure you are not allergic to it. Wash area to be bleached with soap and cold water; dry. With a spatula, measure about one-quarter teaspoon powder and place on tray. Clean spatula. Measure about one-half teaspoon creme. Blend powder and creme well. Apply mixture with spatula covering hair completely. Keep mixture on for about ten minutes. Remove with spatula. If hair is not completely bleached, reapply the mixture for another five to ten minutes. Cream Bleach produces instant results and makes the user appear fairer within 15 minutes.Cream bleaches are so easy to use that women can safely use them at home. Always test for sensitivity before applying, even if tested before.Never apply after a hot bath.Use the mixture within 30 minutes of preparation; otherwise the effectiveness will wear off.Do not apply on cuts or abrasions, moles, skin disorders or make-up, as they may cause a burning sensation or irritation.Wait at least 24 hours after use before applying an astringent.Do not use metal dishes or spoons for preparing the mixture, as they can cause chemical reactions in the ingredients.Use for 15 minutes, if fair complexioned and 25-30 minutes, if dark complexioned.Use once in 15 days, as the lightening effect may not last too long.As the skin is a living tissue, melanin is produced continuously.Keep containers tightly after use.Always store the kit in a cool, dry and dark place away from excessive heat, since this could reduce its effectiveness. Wash area to be lightened with soap and cool water and gently pat dry with a towel (do not rub).Squeeze equal amounts of Bleach and Accelerator into the mixing tray and replace caps tightly on the correct tubes (white cap on Bleach and blue cap on Accelerator). 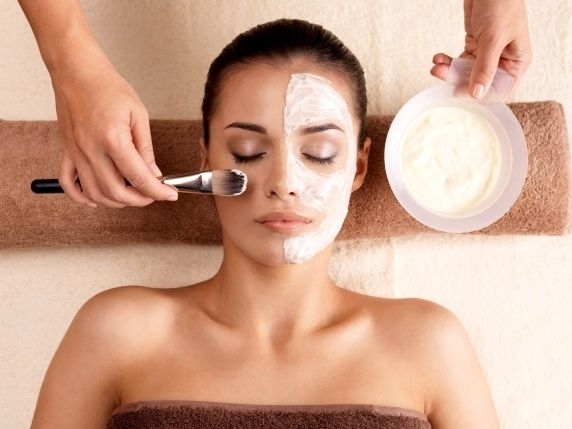 Thoroughly mix the two creams together using the spatula.Apply cream using spatula making sure hair is completely covered.After 10 minutes remove a small amount cream to check the result.If hair is not completely bleached, reapply cream and leave for maximum of 10 minutes longer, checking after 5 minutes. Once desired result is obtained, rinse cream off with warm water and gently pat dry. Very dark hair require a second treatment, which should not be carried out for 24 hours. First prepare yourself for the bleaching. Wear your plastic gloves and tie a towel on your neck that you don't mind ruining. Now you are all set for the bleaching.Take the supplied brush in your hand. Dip it in the solution and then start from the back of your head. Then from the back of the head move the brush to the top. With the help of the brush evenly distribute the mixture. Work as quickly as possible so that you can distribute it evenly on your head before it gets tougher. Once you have applied the solution put on the plastic cap on your head.Do make sure that you keep the solution on your head for appropriate time. Keeping it for a short time won't give you result and keeping it for more than required time will burn your hair and may result into breakage and hair loss.After you rinse all the bleach off your hair use a mild shampoo to ensure that no chemicals are left on hair. 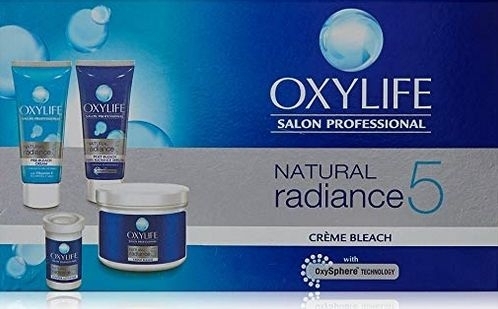 After the bleaching process moisturizing hair is must since bleaching dries hair. color it blond(get arm hair color for like 5 bucks at a drugstore like frys or albertsons-i used to do that), nair hair removal, trimmer(dosent kale it rown in thick like shaving does and it dosent go quite as low,thats what i do), orthats all i really know cause i cant shave or wax either!! Blend the bleaching cream with a 2 to 1 ratio, 2 parts bleach and 1 part bleach accelerator. Avoid applying bleaching cream after a hot shower or bath as the skin may be more sensitive due to the opening of the pores from steam. Avoid direct sunlight on the area for at least 24 hours after bleaching. cream bleach it's not that horrible but you have to be careful where it goes and how much you use. if you screw up you could permanently mess up your skin tone. also, if the hair and skin color isn't that different than i wouldn't bother. Useful article.. I was not aware about so much in detail about bleaching. Lemon juice may SLIGHTLY lighten, but not really.i don't know if you're old enough to remember sun-in..it's a mess, don't do it.there are otc cream bleaches for facial hair in your corner drugstore.they Also have wax strips meant specifically for facial hair [which is more effective, i would say]cream bleaches meant specifically for the face ARE "safe".. but everybody's skin is different, and facial skin is especially sensitive. follow the directions very closely, if you are going to bleach.the skin Will be more sensitive afterwords, so just be careful. I just want to know is there any harmful effect of apply bleach on skin(specially face)? Bleach has strong chemicals which gives whitening effect but is very harmful. Regular use of bleach can cause blemishes and open pores on face. Almond Cleansing solution is a homemade cleansing solution. It is easy to prepare at home in few simple steps. In addition, its application too is effortless. Shall i do bleach on my face on my own?? Yes you may. But do read the instructions carefully before you do and use a good quality bleach from a reputed brand.